(SPOT.ph) The local creative scene continued to thrive in 2016, and how could we help being excited? New theaters were opened, old ones were restored, contemporary artists were recognized here and abroad, and whole cities were transformed into huge canvases. 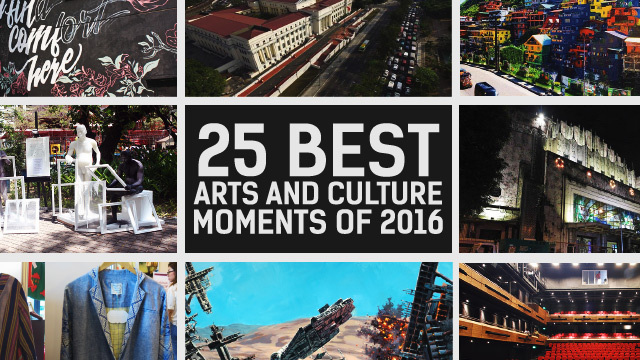 We round up 25 remarkable events that prove our flourishing love for the arts. We might as well bookmark a new cultural hub on our map: Time to set your sights on the BGC Arts Center in Bonifacio Global City. 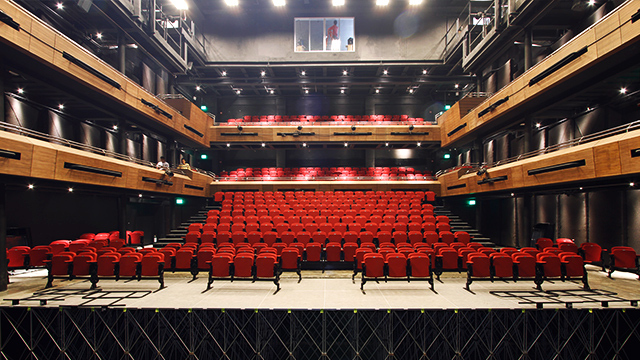 The new arts space is composed of the sprawling Alveo Central Plaza, the open-air Sun Life Amphitheater, and the towering Maybank Performing Arts Theater, which houses the Globe Auditorium, Zobel de Ayala Recital Hall, and exhibit spaces (W Global Lounge, the Daiichi Properties Lounge, and the Nutri-Asia Del Monte Lobby). This new playground for Filipino artists boasts state-of-the-art theater technology and cool facilities. Singapore Biennale 2016, considered one of Asia's best and biggest contemporary visual art exhibitions, presents 60 artworks by 62 artists in its four-month long run at the Singapore Art Museum and other pocket venues. Joining the prestigious exhibition are Filipino artists Dex Fernandez, Gregory Halili, Martha Atienza, Patricia Eustaquio, and Ryan Villamael and we couldn't be more proud. If you’re in the Lion City, you can still see their works until February 26, 2017. If the '70s had Emmanuel Lacaba's Ang mga Kagilagilalas na Pakikipagsapalaran ni Juan De La Cruz and Malou Leviste Jacob's Juan Tamban, 2016 saw a number of plays that pushed for awareness about the atrocities of the Marcos era, by portraying stories of torture during that dark period, and emphasizing the lasting impact of Martial Law on the Philippine economy. Ladies Who Launch produced Never Again: Voices of Martial Law and its line-up of nine one-act plays in September, Raya School Manila adapted children's story Isang Harding Papel, and ADHD Productions presented Tatlong Monologo at Isang Magnanakaw as a response to the "surprise" burial of the late dictator at the Libingan ng mga Bayani. Over 70 retailers showcased the soul of Filipino artisans through the MaArte Fair 2016 in August at 8 Rockwell Makati. They featured home and fashion items made from indigenous materials and accessories that reflect the country's heritage. 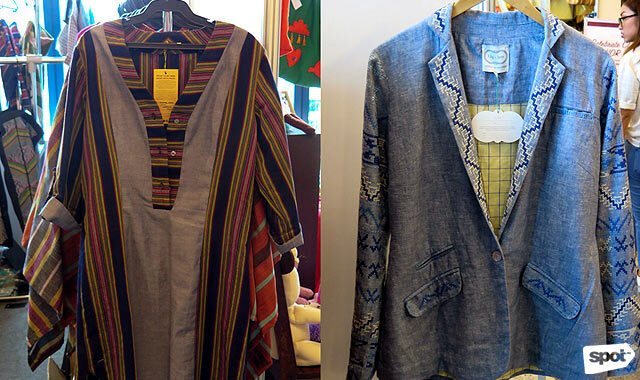 Some of the featured pieces were Barong Batik's tops that blend the material of the Philippine barong with the art of the Indonesian batik, inabel blankets by Beyond Borders, and Bagobo-inspired bags by Great Women. Members of the Sing Philippines Youth Choir surprised commuters on the LRT Line 2 with a musical flash mob in June. This made the usually agonizing trip more bearable, and definitely more exciting. Complete with percussion instruments and harmonization, the group performed the popular "Iisang Bangka" by The Dawn. The line "ngunit kasama mo ako, nakabigkis sa puso mo, daluyong ng dagat ang tatawirin natin" seemed apt for the looming rush hour. This was part of the Cultural Center of the Philippines' efforts to encourage public participation in art appreciation and to promote artistic excellence. Following the surge of visitors at the National Museum of the Philippines during big celebrations (like Women's Month, National Heritage Month, and Independence Day), they finally announced in July that admission is permanently free of charge. This also applies to other National Museum-maintained facilities in the Philippines such as the Kiangan Museum in Ifugao, Palawan Museum, and Padre Burgos House in Vigan. The National Library of the Philippines implemented the same rules, waiving the P100-library card and opening its doors to the public for free. 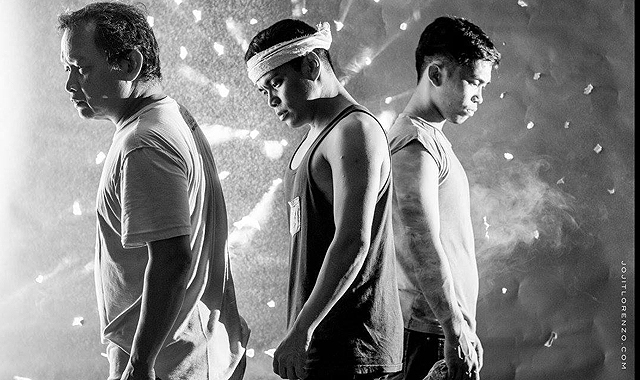 After much clamor and an online petition, Sa Wakas, a Pinoy rock musical, finally announced a rerun schedule for January 2017 at the Power Mac Center Spotlight in Makati City. 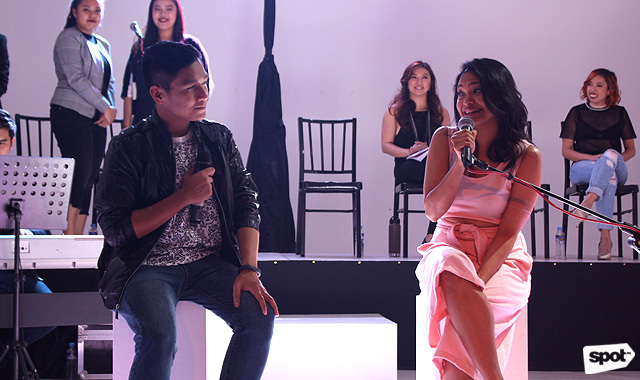 The musical laden with Sugarfree songs was written by Ina Abuan and Andrei Pamintuan with lyrics by Ebe Dancel all "Broadway-fied" by Ejay Yatco. 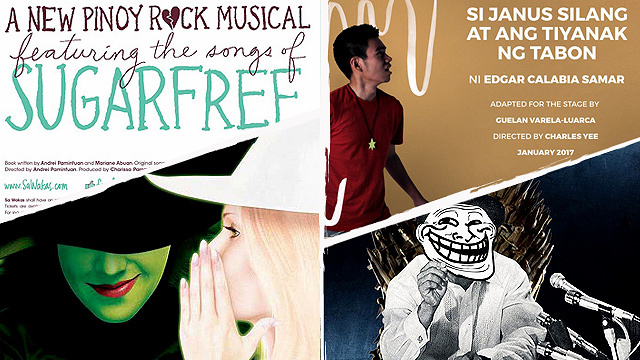 It was also revealed that two Sugarfree songs were changed in the new version of the musical and that there would be live violins, so get ready for more hugot. 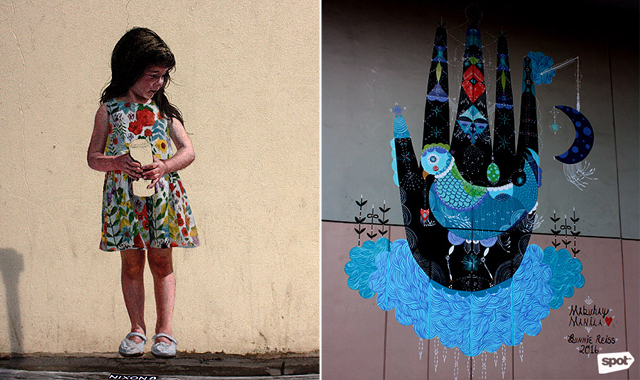 Artists from around the world decorated Bonifacio Global City's huge firewalls, gutters, and parking lots with vibrant murals and graffiti during the ArtBGC's Mural Festival 2016 in May. The 10-day event, on its sophomore run, featured foreign artists PastelFD, Andrew Schoultz, HOT TEA, Bunnie Reiss, Aleks Kocev, and Blaine Suqua, and homegrown muralists Kris Abrigo, Trip 63, and KFK. 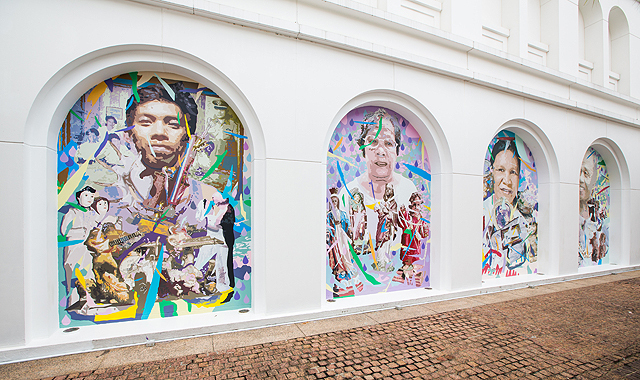 The selected artists turned the walls along W 5th, NET One, Bonifacio High Street, Bonifacio Stopover, and BGC Corporate Center into huge canvases. When American Idiot premiered on June 24, Globe also launched the Globe Iconic Store as a brand-new entertainment venue. The open-air stage features two separate stores on opposite buildings connected by a glass bridge. 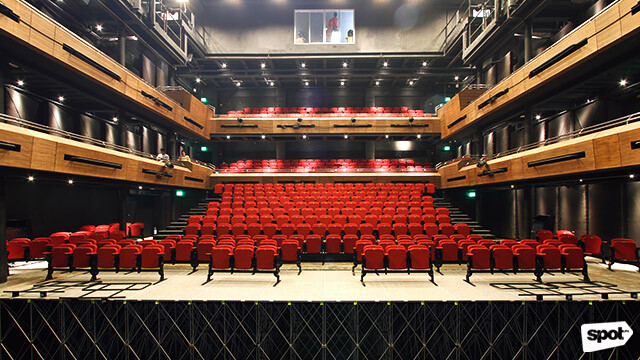 The bridge flanked by two massive LED screens is part of the multi-level performance space with a state-of-the-art lighting system. Suffice to say, you can easily see whatever's happening onstage even if you're just passing by Bonifacio High Street's amphitheater. That's accidental theater for you. After a successful series of exhibitions early in 2016, Rodel Gonzalez came back to Manila in December to wow Star Wars fans with his oil paintings of Darth Vader, Master Yoda, the Death Star, and others. The California-based artist acquired a license to create art for Star Wars and Disney, and he's the only Filipino authorized to do so. 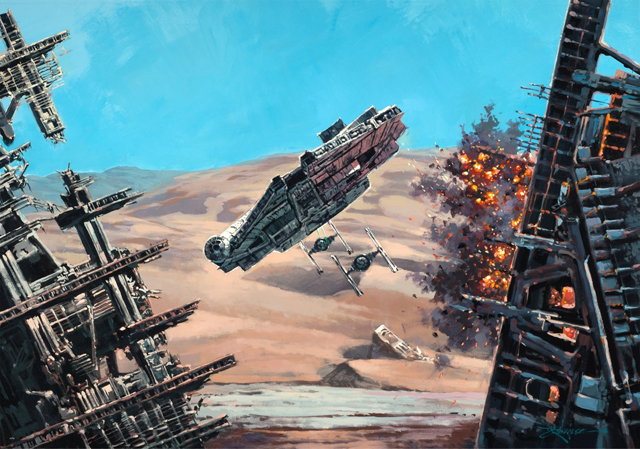 Even George Lucas himself couldn't help but purchase four of his first Star Wars paintings. 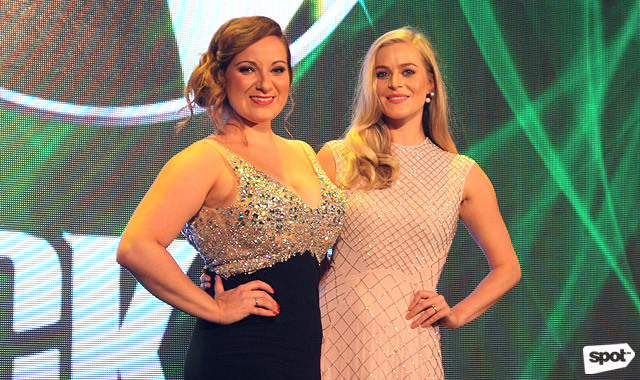 Fans of the award-winning Broadway and West End musical Wicked were treated to a grand and green evening on September 2 at Greenbelt 5 in a meet-and-greet with the stars of the show. Those who came in their best Ozmopolitan costumes got the best prizes: an overnight stay, tickets to Wicked Manila' s Gala Night, and passes to an after-party. 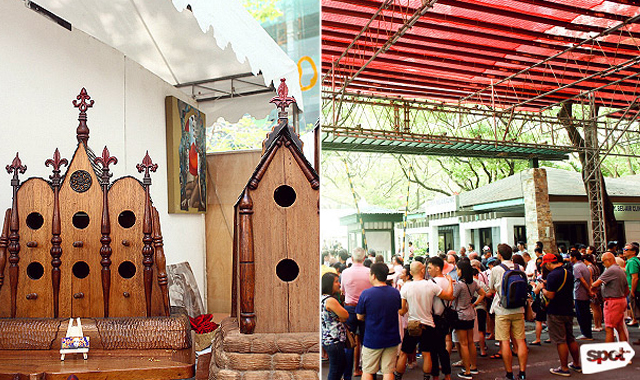 Art in the Park, touted as the country's pioneering affordable art fair, celebrated its 10th anniversary in April with more participating artists, signed limited-edition collectibles, a life-sized wax sculpture by Daniel Dela Cruz, and a welded metal sculpture by Sam Penaso. This drew a big crowd; some were already lined up by the entrance of the Jaime Velasquez Park even before the clock struck 10. 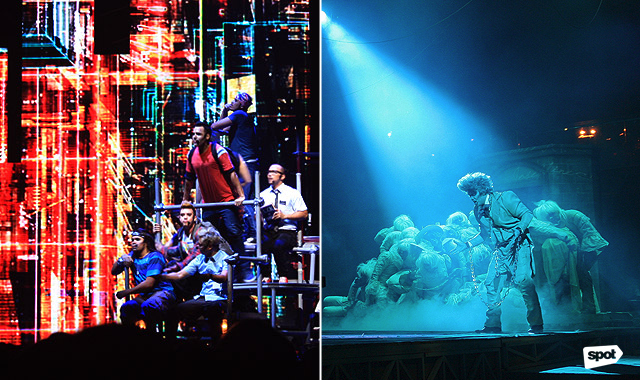 After successful seasons in Melbourne and Perth, Les Miserables graced the stage of The Theatre at Solaire in March. Cameron Mackintosh's musical adaptation of the French historical novel by Victor Hugo follows the story of Jean Valjean and his quest for redemption. The international cast was joined by homegrown artist Rachelle Ann Go. 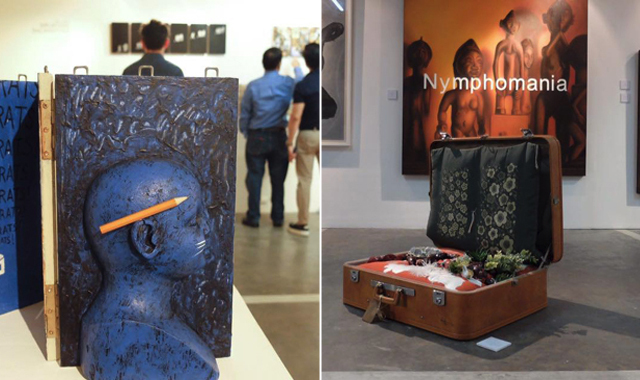 The fourth installation of the annual Art Fair Philippines featured 40 participating galleries including Altro Mondo, West Gallery, Silverlens, and many more; a lecture theater that hosted daily talks on art history, the art market, and current practices in contemporary art; and parallel events around the city. The bigger and better Art Fair Philippines 2016 also showcased Filipino dancers' talents through a Ballet Philippines performance of Gabrial Barredo's installation art entitled Opera. How's that for being multi-dimensional? Ever since it opened its doors in December 2015, the Cinematheque Centre Manila has hosted a number of film festivals and film screenings of otherwise inaccessible classic Filipino and foreign films. 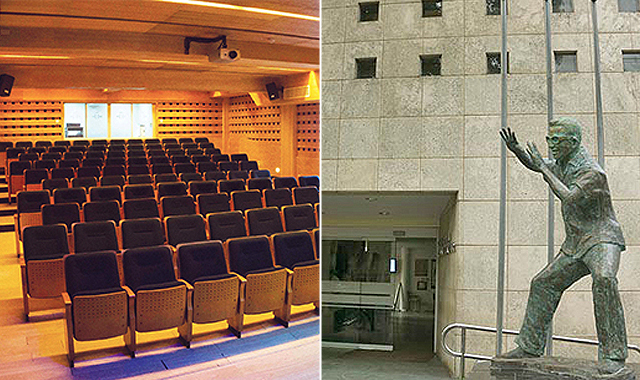 More than just a theater, it also houses a film museum, classrooms, a café, a souvenir shop, and a library. 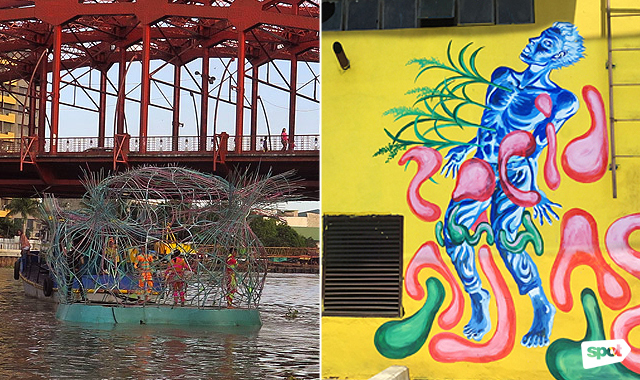 Early in 2016, artist Leeroy New started working on murals on walls found along the Pasig river and its tributaries. This is part of the efforts to rehabilitate and restore pride in Manila's main waterway. It also included the Bakawan Floating Island, a floating installation where people could enter and appreciate the long-forgotten river. 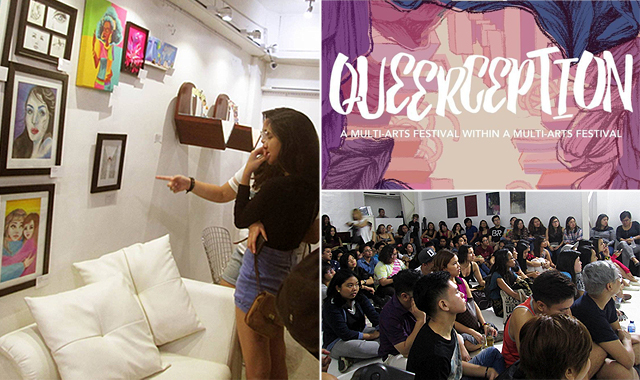 Metro Manila Pride hosted its first ever rainbow-filled arts night through Queerception: A Multi-Arts Festival Within a Multi-Arts Festival a day before Valentine's Day at the Pineapple Lab in Makati City. It featured the works of local visual artists including Ice Basit, Tokwa Peñaflorida, and Cindy Aquino. It also presented eye-opening films such as model citizen, a documentary that follows the life of a Muslim transgender woman; Astray, a film about an unrequited love between two women starring Angel Aquino and Althea Vega; and Home for the Golden Gays: The Film, a movie about the elderly gays of Manila. 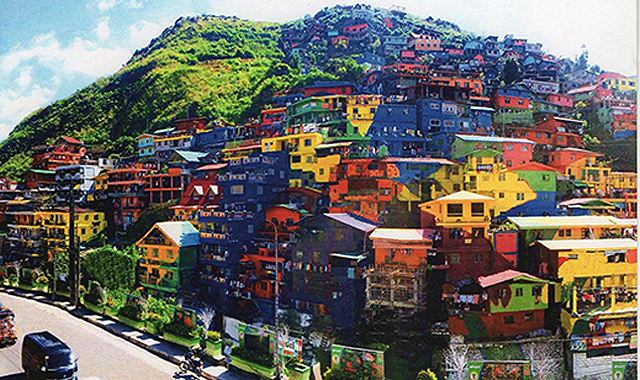 The StoBoSa Hillside Homes, which transformed three sitios (Stone Hills, Botiwtiw, and Sadjap) of Barangay Balili in La Trinidad, Benguet into a colorful mural similar to Brazil's Sao Paulo and Rio de Janeiro, was unveiled on June 23. It was the first in the country and took a whole village to complete. 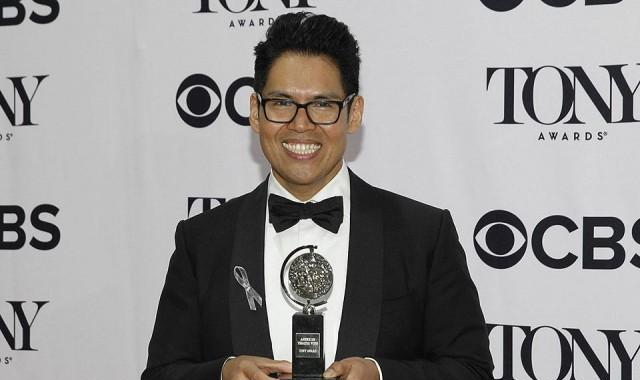 Clint Ramos won Best Costume Design at the 2016 Tony Awards in New York in June for his work in Eclipsed, which is the first Broadway production to be written, directed, and performed by an all-female African-American cast. It follows the story of the three wives of one rebel commanding officer during the second Liberian war. Ramos took up theater arts at the University of the Philippines-Diliman, where he was part of the theater group Dulaang Unibersidad ng Pilipinas as a set and costume designer. From the year 1800 to the late 1900s, Calle de Escolta in Manila was the place to be. 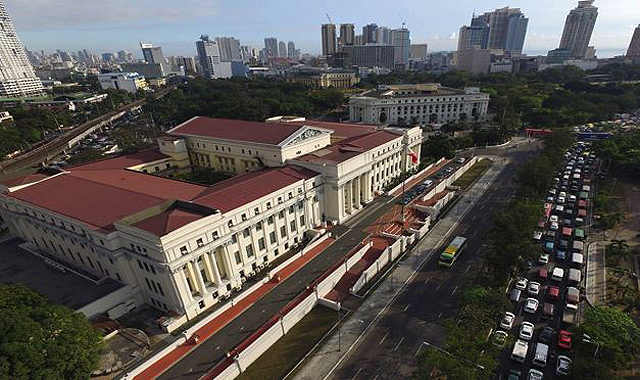 Luxury stores, jewelry and watch shops, restaurants, and theaters could be found along this 393-meter stretch which connects Plaza Goiti (now Plaza Lacson) in Santa Cruz to Plaza Moraga in Binondo. It's one of Manila's most historic places that has stood the test of time, and it caught the attention of The New York Times in February. 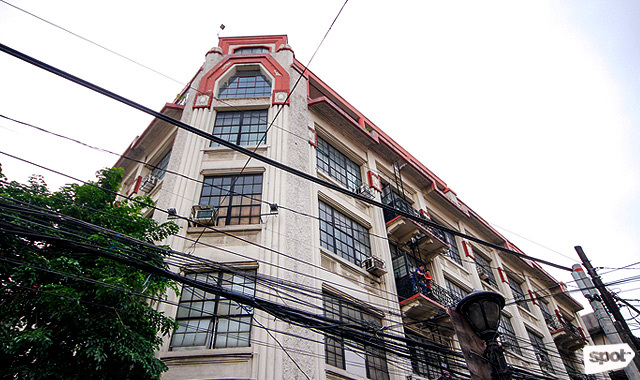 The article described Escolta as an area that "was once the Philippines' version of Fifth Avenue" and that the space feels "a bit like a time warp, with fine examples of Art Deco, Beaux-Arts and neo-Classical architecture." There's now also a cultural spot in one of the run-down buildings called Hub: Make Lab. 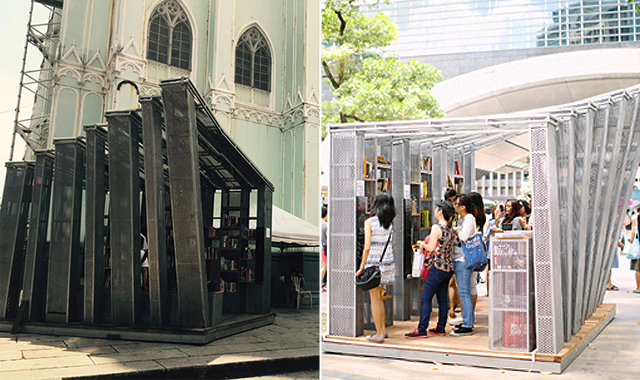 The Book Stop Project, a bite-sized pop-up library, put up shop at the Ayala Triangle Gardens in May, then in Intramuros after a week, then at San Sebastian Church in Manila in July. Committing to the mission of encouraging reading and passion for literature, it brings books closer to the community and doesn't require fees or membership. It also holds poetry readings and even blind dates to pull in more people to check out its shelves. 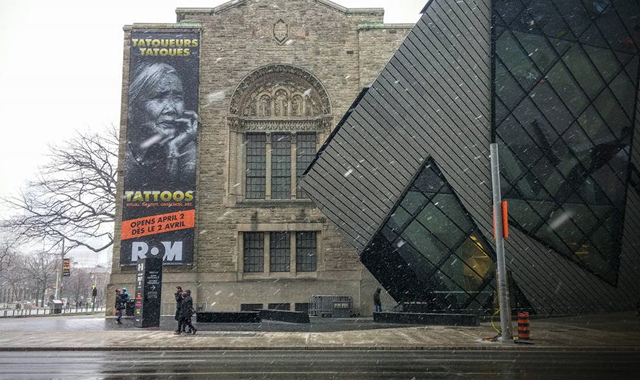 A huge banner bearing the face of the oldest tattoo artist in the Philippines, Apo Whang-od, was on display on one of the outside walls of the 102-year-old Royal Ontario Museum in Toronto, Canada in April. It was for the exhibition called Tattoos: Ritual. Identity. Obsession. Art. which showcased a visual history of body art and markings by the most respected tattoo artists in the contemporary world. It included the works of 98-year-old Whang-od Oggay who is considered as the last mambabatok (hand-tap tattoo artist) of her tribe in the Cordilleras. 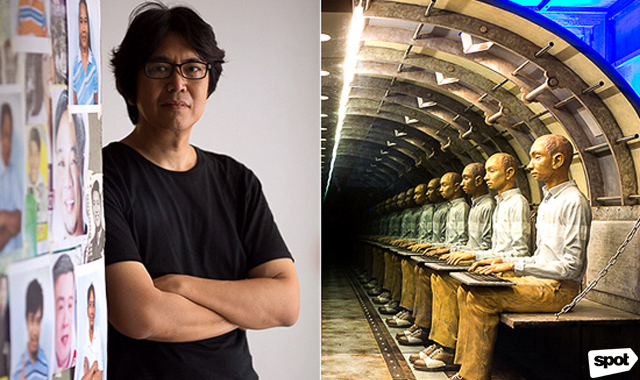 UP Vargas Museum hosted the works of award-winning artist Mark Justiani in April through an exhibit titled Reverb. One of his landmark works was "Allegoria," which reflected the illusion of a never-ending passageway. 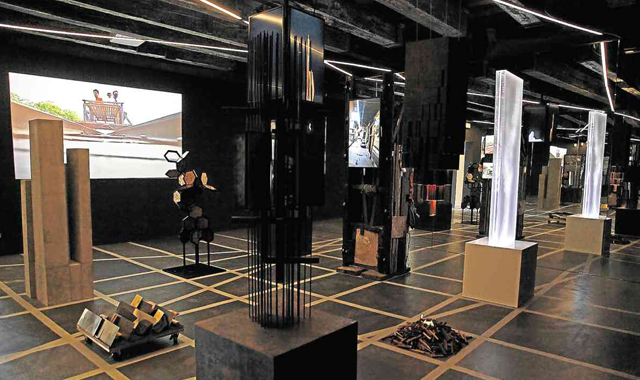 In 2015, the Philippines returned to the prestigious Venice Art Biennale after a 51-year hiatus. Inspired by this breakthrough, homegrown talents headed to the Venice Biennale of Architecture in May 2016. The Philippine Pavilion presented the exhibit Muhon: Traces of an Adolescent City, which features three rooms—History, Modernity, and Conjecture. It was participated in by six architects and firms as well as three contemporary artists, Eduardo Calma, Jorge Yulo, 8x8 Design Studio Co., C|S Design Consultancy, Lima Architecture, Mañosa & Co. Inc., Poklong Anading, Tad Ermitaño, and Mark Salvatus, all selected by curators Leandro Locsin Jr., Sudarshan Khadka Jr., and Juan Paolo de la Cruz. 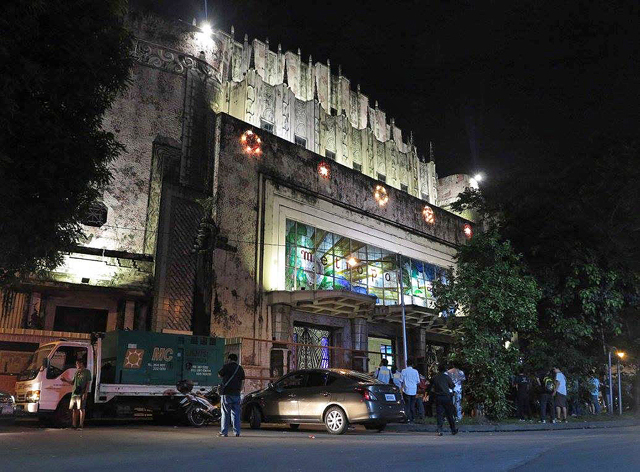 Thanks to the efforts of the National Commission for Culture and the Arts, heritage conservationists, artists, and volunteers, the Manila Metropolitan Theater (a.k.a. the Met) was all lit up on December 14. The night celebrated 85 glorious (and not-so-glorious) years of what was once known as the Grand Dame of Manila through façade lighting and electrification of the structure.